In my life, I had the privilage of being born into a family where music is a part of life. Since childhood, for years, I’ve woken up to listening my grandmother, mother and father’s riyaz in the early hours of morning. I’ve been in their shoes and trained for the same school of music as well. Now an essential part of trainig in any school of music is listening. Listening to the guru and listening to the masters as well. Listening forms a vital part of the training. The ancient Indian gurus passed on the vedic wisdom (which included musc), to his students. This continued generation after generation. Hence the Vedas are rightly called shruti (hearing). In Indian music even, the grace notes are called shruti. In the modern times, wih so much of stock recording and footage both from the gurus and the masters alike, it is quite easy for any student of music to access the vast library of information and develop the necessary finesse and taste for music. But the one of the cheif problem with recorded sound is the quality of sound, which in term determines the overall hearing experience. Here’s where the brand name Bose comes in. Since its inception 54 years ago, Bose has provided ultimate quality sound to its users. With increasing oppurtunities life is slowly becoming portable for most people around the globe. And to the music lovers and audiophiles, carrying a good quality headphones has become a must. 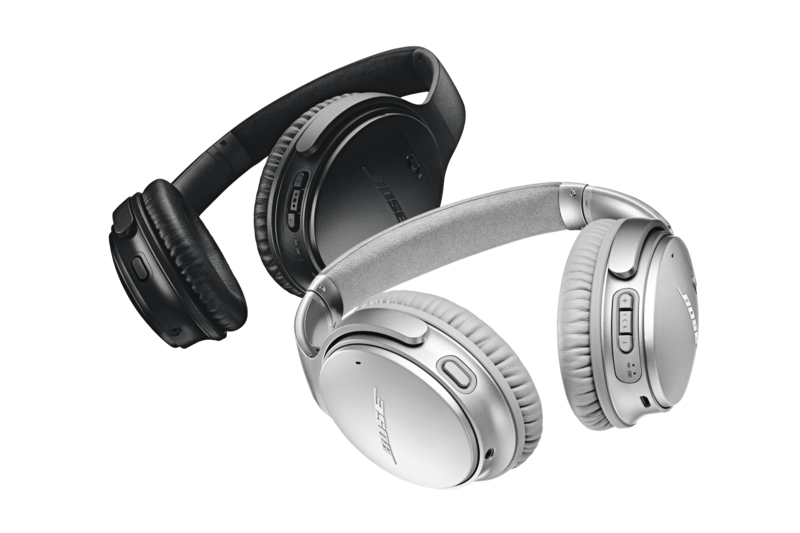 Here’s where Bose QuietComfort 35 wireless headphones II comes into the picture. 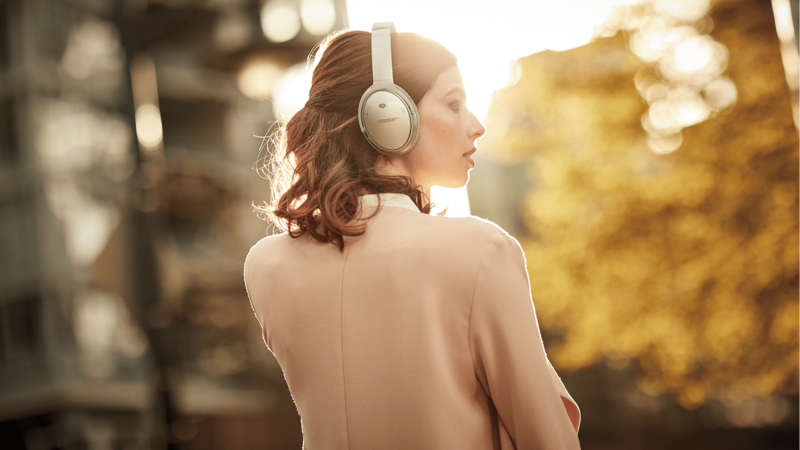 With features as Acoustic Noise Cancellation & Volume-Oprimised EQ the Bose QuietComfort 35 is a must have for music lovers and audiophiles alike. What’s more is that the Bose QuietComfort 35 comes with Google Assistant integrated, which further helps communicate with your favorite AI assistant at the touch of a button. And even if one is not a Google user, the action button on the headset. What’s more, and might be very important to some users, is that it comes with a microphone built-in. So no worries when trying to recieve a call. The built of Bose QuietComfort 35 includes soft ear-cups, the Alcantara cusion and the Impact resistant handles, further facilitates the quality of the sound and the comfort of the headphones on your ears. The good build culminates in good noice cancellation resulting in clear calls even in the busiest of environments. Bose QuietComfort 35 also comes with a long battrey life (20 hours) which will get you through the day, and a quick 15 minutes charge gives another 2.5 hours of playtime getting you through the night. Bose QuietComfort 35 also has a 3.5mm audio port to connect a AUX cable to use it as a wired headphone to further increase the battrey life. 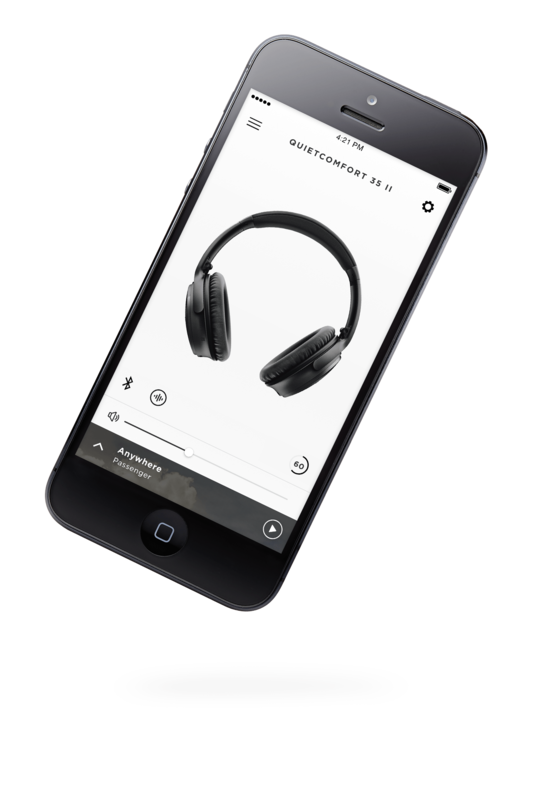 The Bose QuietComfort 35 is also accompanied in software with a mobile app available for both Android and iOS systems which further makes the features of the headphones customizable. 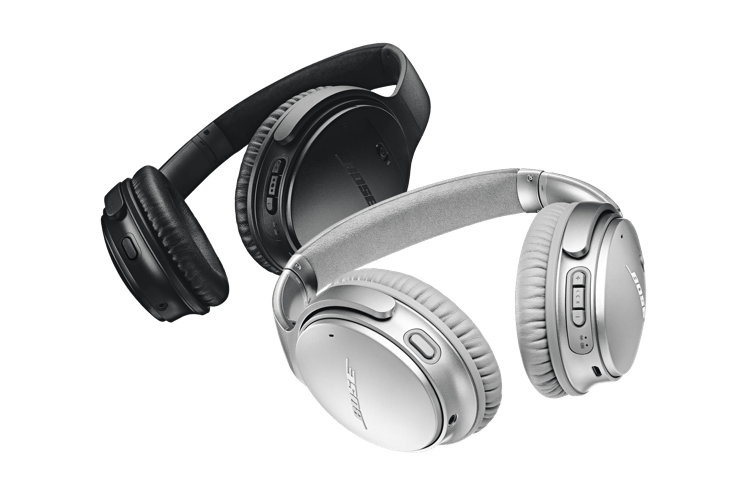 In all, the Bose QuietComfort 35 is the newest option for music lovers and audiophiles in town and promises to drive the sound in a good way forward with its impressive set of features. 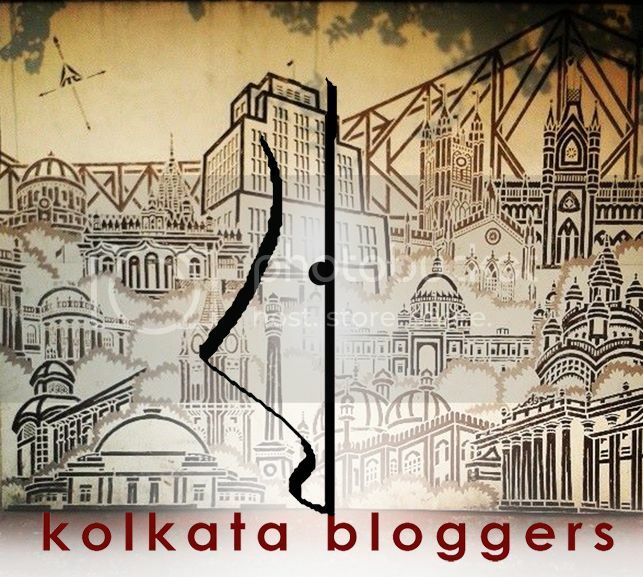 Disclaimer: This post is written in association with Bose. All images are copyright of Bose. Published on February 4, 2018. Updated on February 4, 2018.